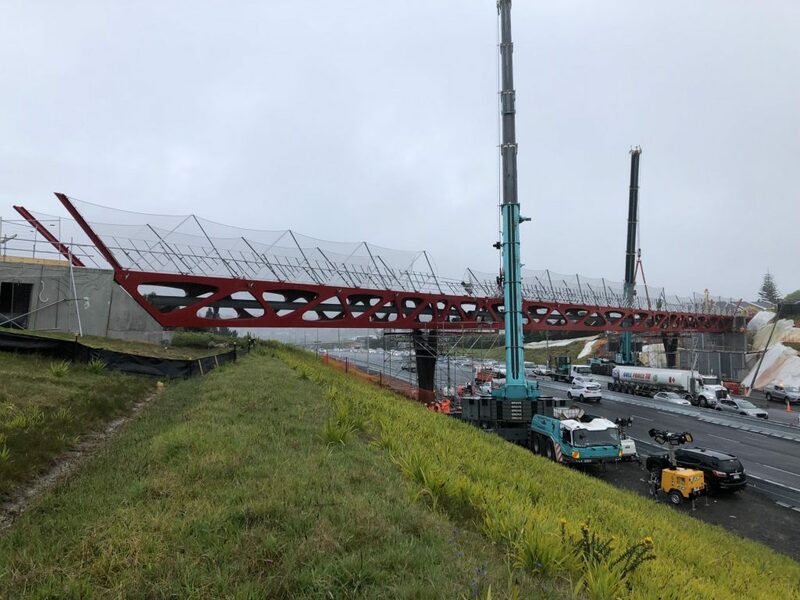 This 106m architecturally designed bridge links Spencer Road to Corinthian Drive over the Northern Motorway, State Highway One, Albany. 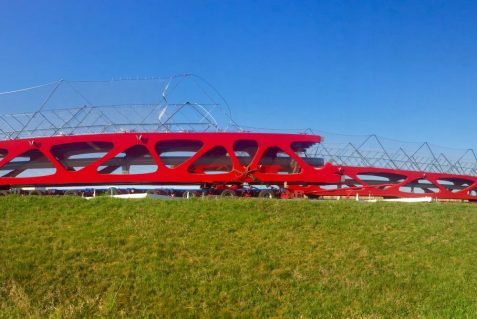 It is a pedestrian and cycle way , but also doubles as emergency services access and includes a water main suspended underneath. 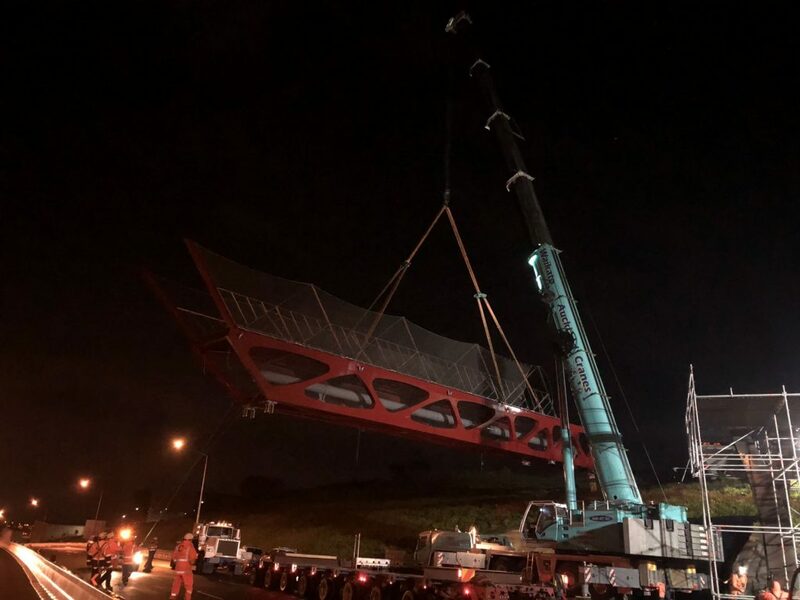 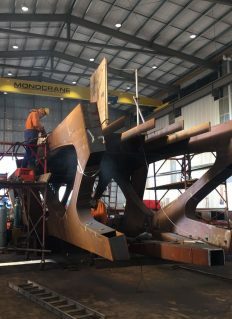 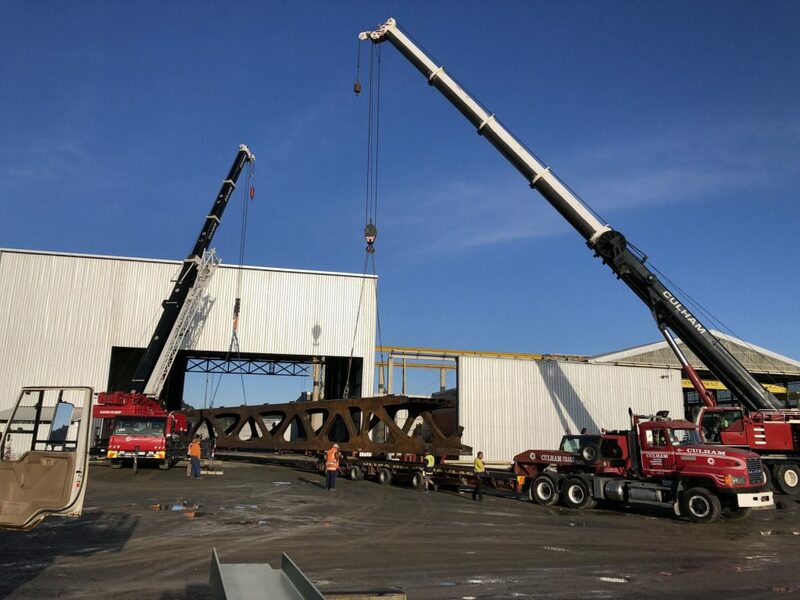 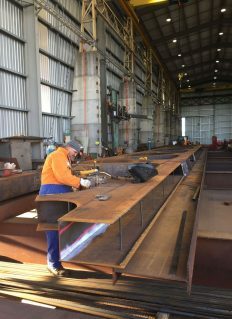 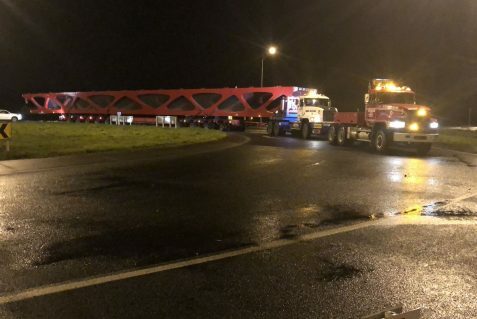 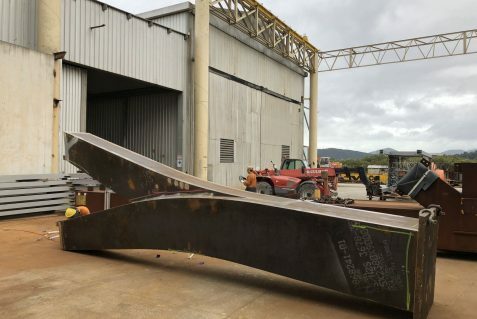 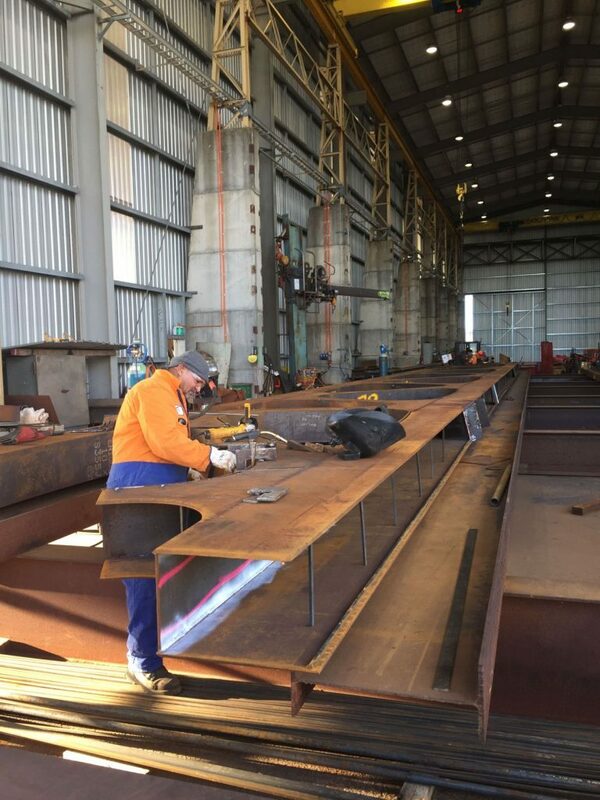 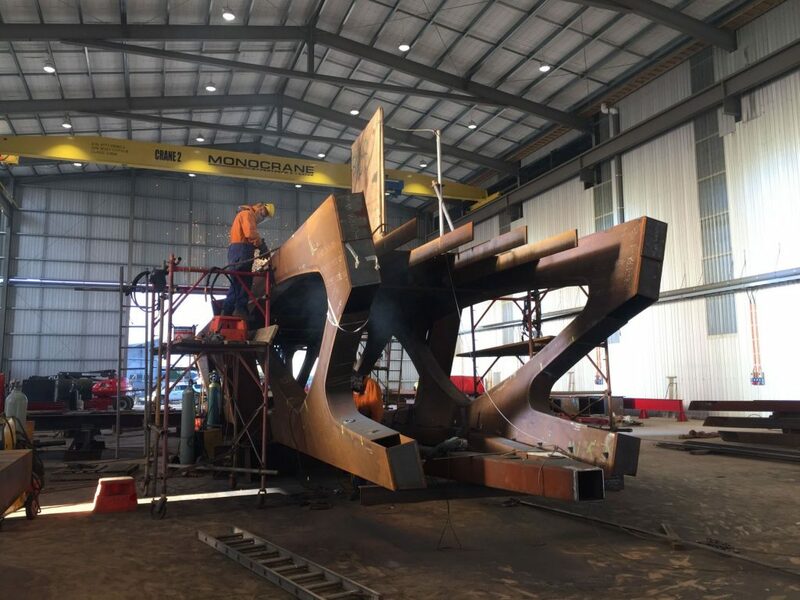 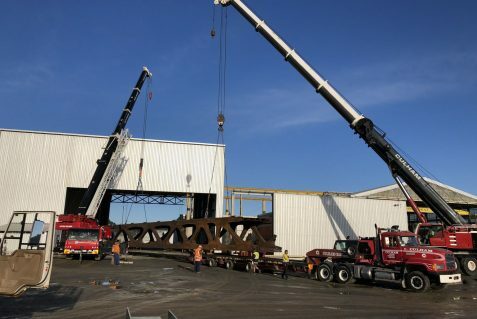 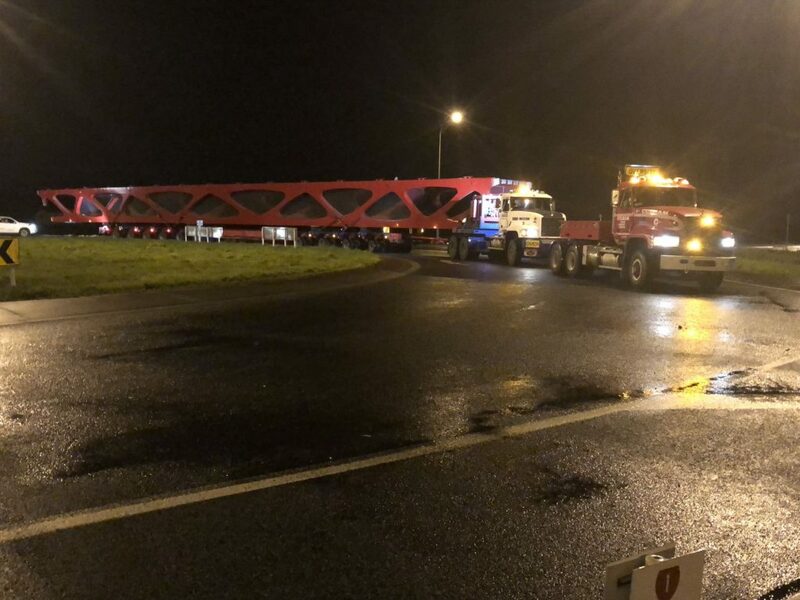 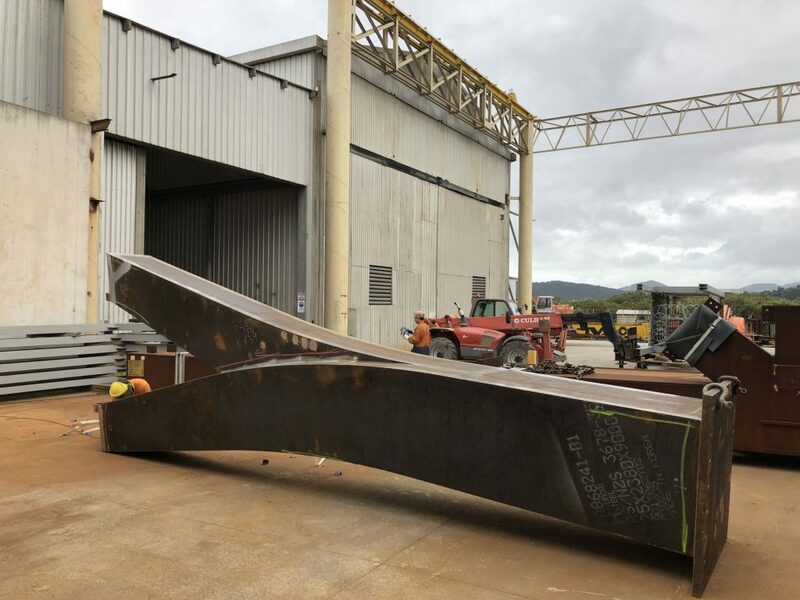 This iconic bridge was fabricated and painted in our Whangarei workshop and delivered to site via road in three sections, the largest section being 80t and 48m long. 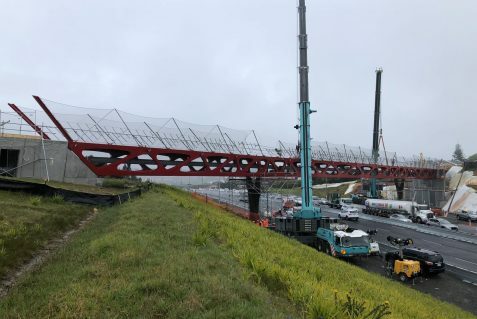 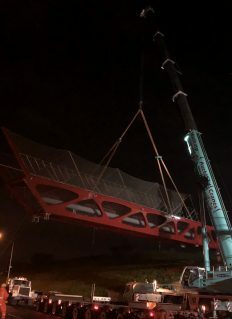 Each section was installed within a separate motorway closure between 10pm to 5am and final works on the bridge completed while the motorway was fully operational.